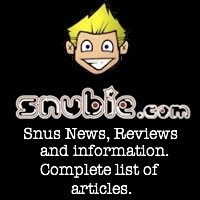 Snubie.com: Skruf Slim Fresh Ultrastark White (Review) - 11 March 2018. 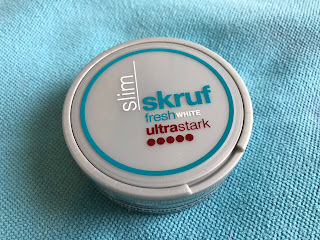 Skruf Slim Fresh Ultrastark White (Review) - 11 March 2018. The Skruf Slim Fresh line is quite a popular one. Ever since Skruf Slim Fresh was launched in 2011, it has easily been one of the most popular mint products. 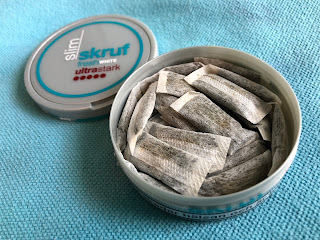 The regular strength Skruf Slim Fresh is no longer produced, however Skruf Slim Fresh Stark and Skruf Slim Fresh Extra Stark are still in the Skruf lineup. Now, Skruf has decided to go a notch higher and release Skruf Slim Fresh Ultrastark White. 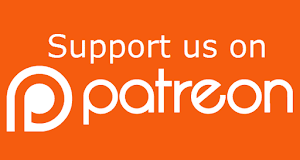 Side note, I really like the word "Ultrastark". 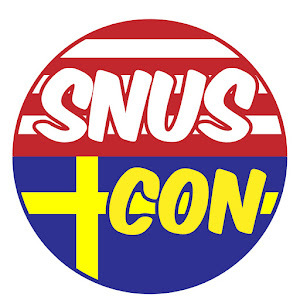 Some of you may remember, last year I hosted the first ever Snus Con in St. Louis. 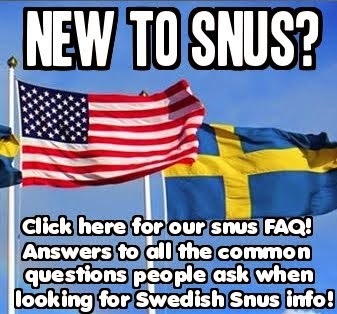 Skruf was one of the presenters there and they mentioned to me that they along with Swedish Match felt there should be a cap on how high nicotine levels should be in snus products, that level being 2.6% (or 26mg/g by the old standards). 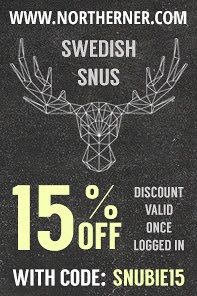 Swedish Match began releasing Super Strong products recently at the 2.6% level, and Skruf recently joined them, releasing Skruf Blackline Ultra Strong this year as well. 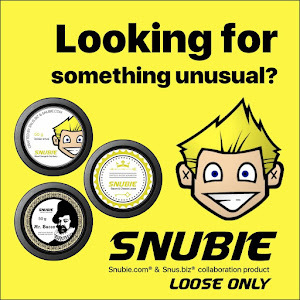 This release is another "ultra strong" level snus, clocking in at the 2.6% nicotine level. 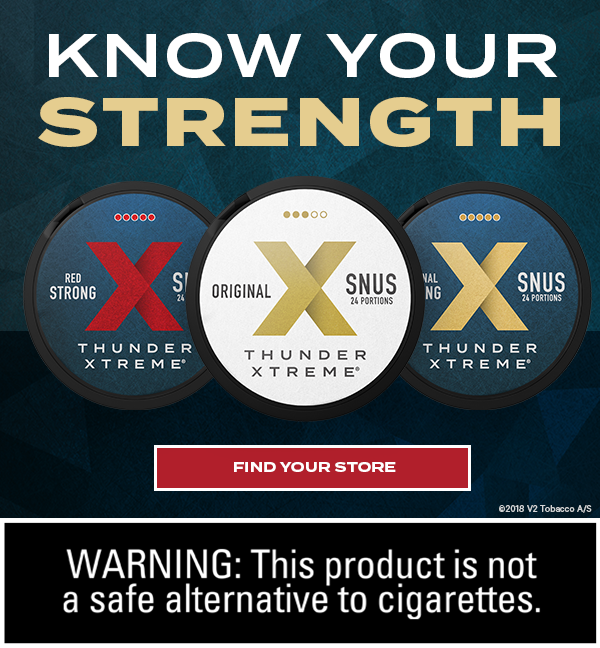 The flavor description for this snus says, "Skruf Ultra Strong snus has a sweet taste of fresh spearmint." 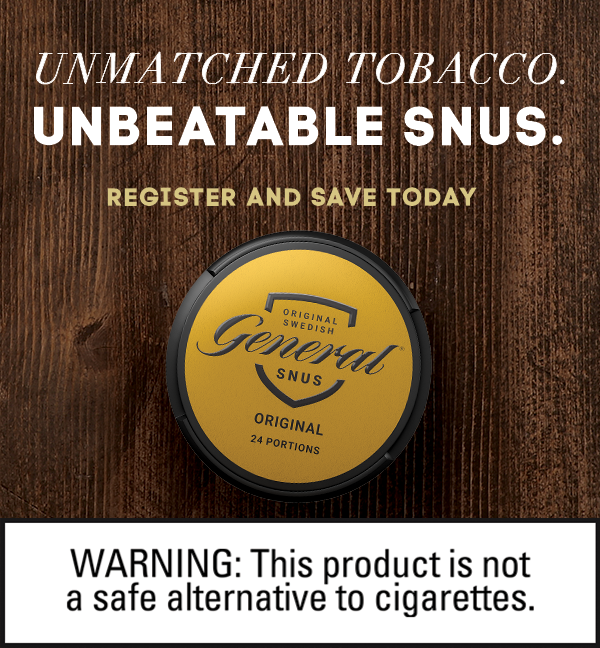 I usually tend to disagree with most webstores on this, however, as I notice more peppermint presence in the product than spearmint. This product comes in a 16.6 gram can with 24 portions for 0.69 gram portions. 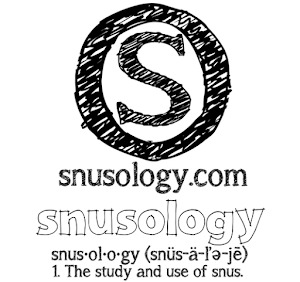 The nicotine content is 2.6% (or 26mg/g), which breaks down to 17.98mg/portion. When you open a can of Skruf Slim Fresh Ultrastark, the aroma that greets you is a really sharp smell of peppermint with a hint of menthol. I was surprised when I put a portion in my lip that I encountered both a burn and a cooling presence. Usually I only get the cooling presence, but with this one I got a nice burn, as well. The taste is much like other version of Skruf Slim Fresh, it has a present but relatively mild taste of peppermint with a hint of menthol. It’s also not overly sweet, which is nice. The nicotine hits really quickly; I timed it and was feeling it 7 minutes after I put a portion in. It’s a strong kick, too. One could almost say it’s an ultra strong kick. I can’t keep this in very long so I can’t speak to the longevity of it, as it is stronger than I usually use. However, most white portions usually last around an hour so I assume this is much the same.